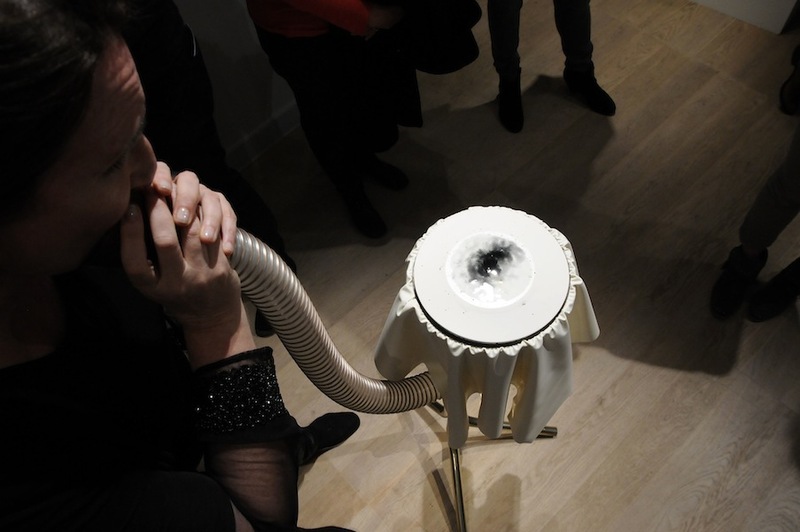 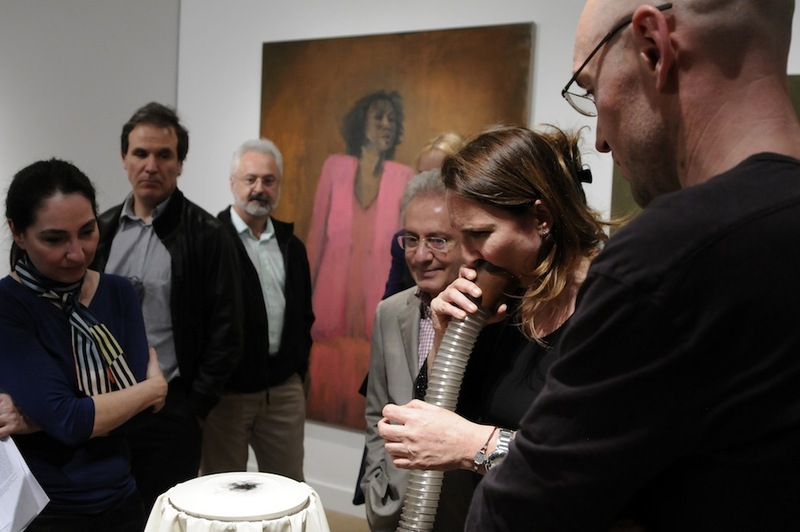 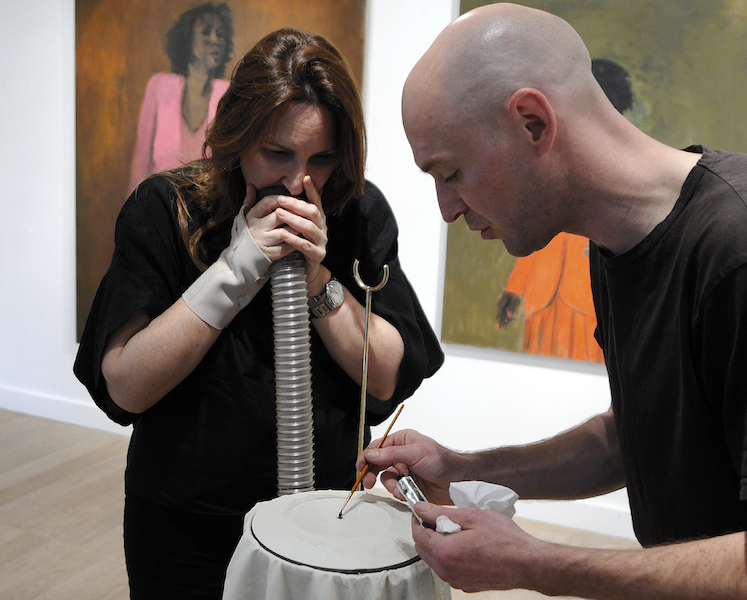 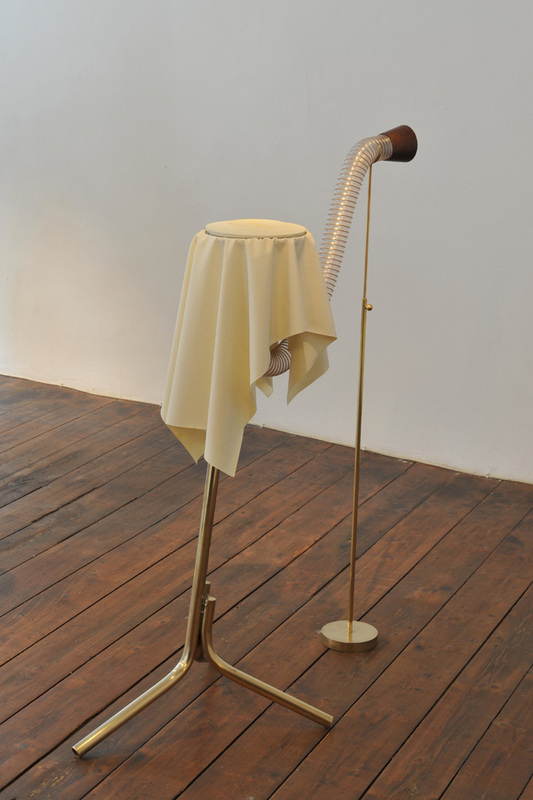 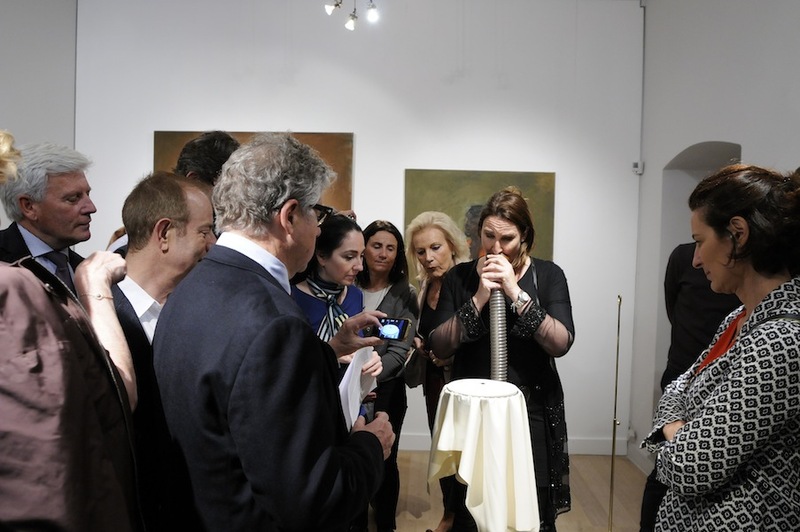 Nick Laessing, 'Voice Figures (Eidophone I)', 2011. 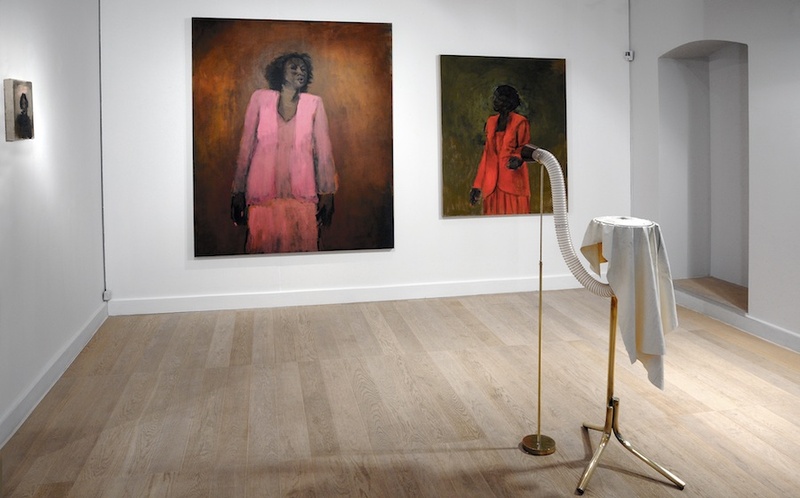 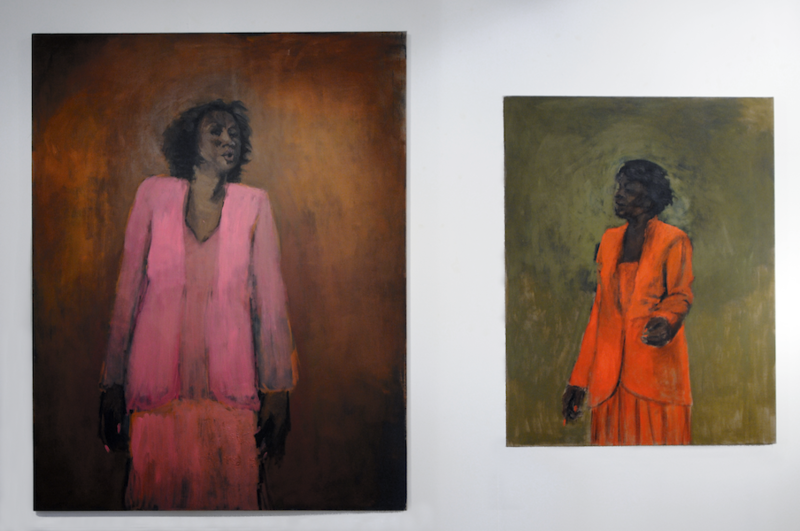 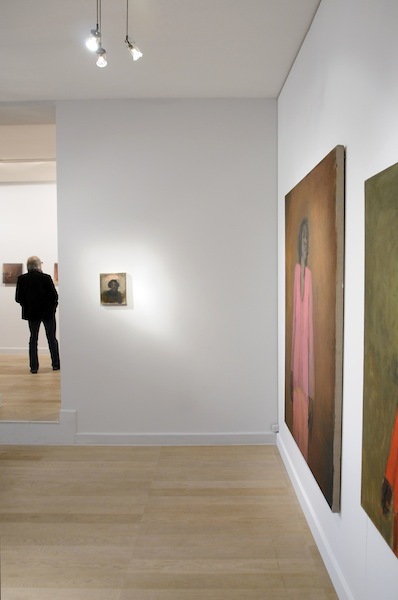 Lynette Yiadom-Boakye, 'Canticle', 2008, Diptych, oil on linen, left: 190 x 150 cm, right: 140 x 110 cm. 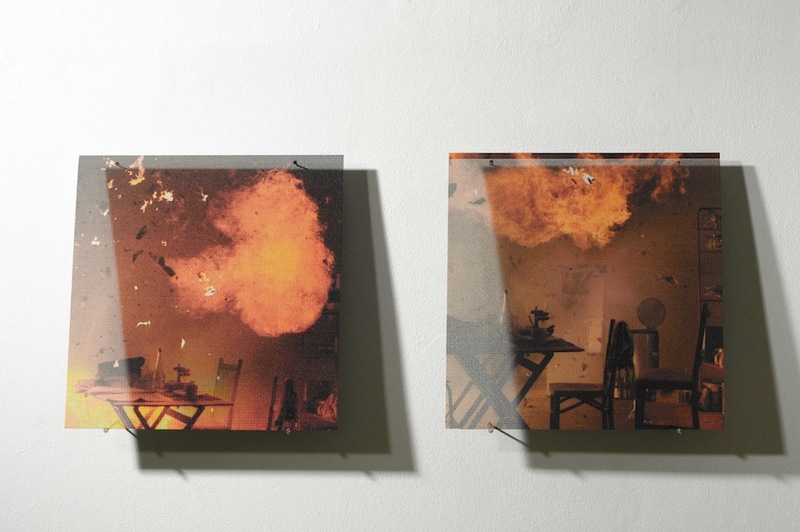 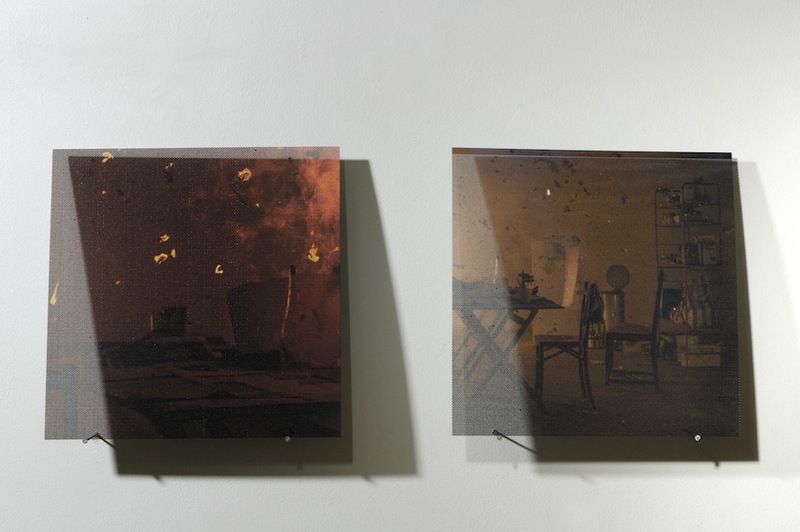 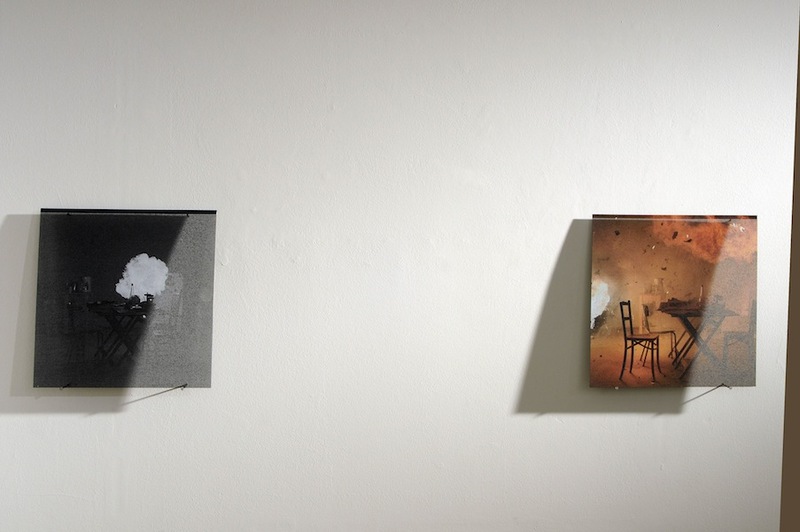 "Aleph, Mai 2014", installation view of two works by Aurélie Pétrel, inkjet on micro perforated steel, 37,5 x 37,5 cm each, Gowen Contemporary, Geneva, 2014. 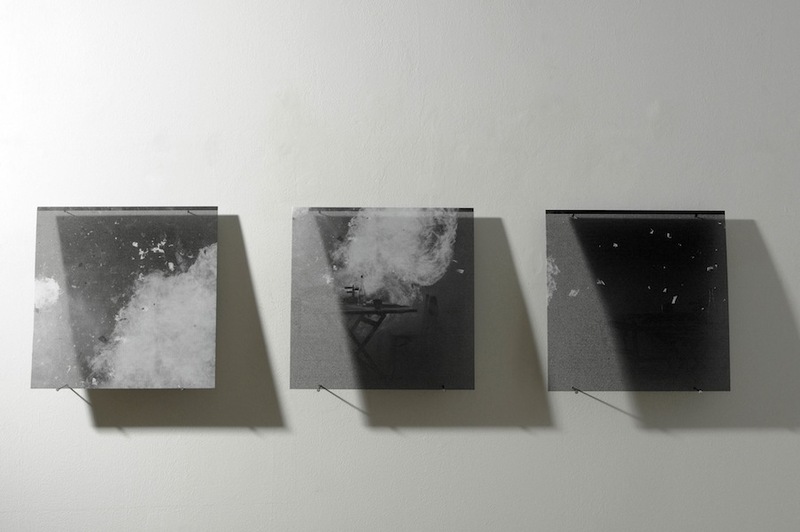 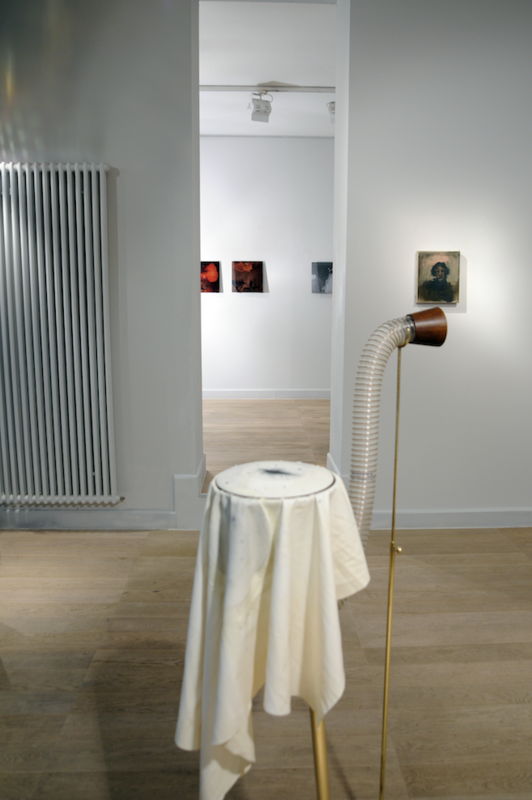 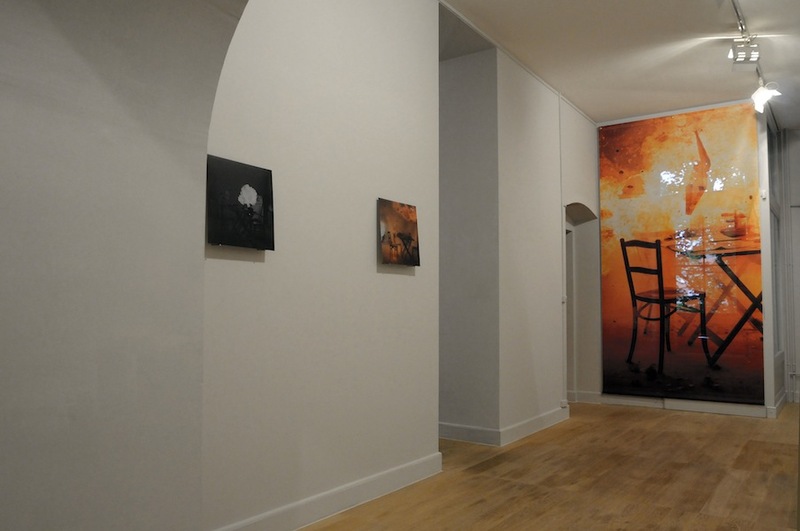 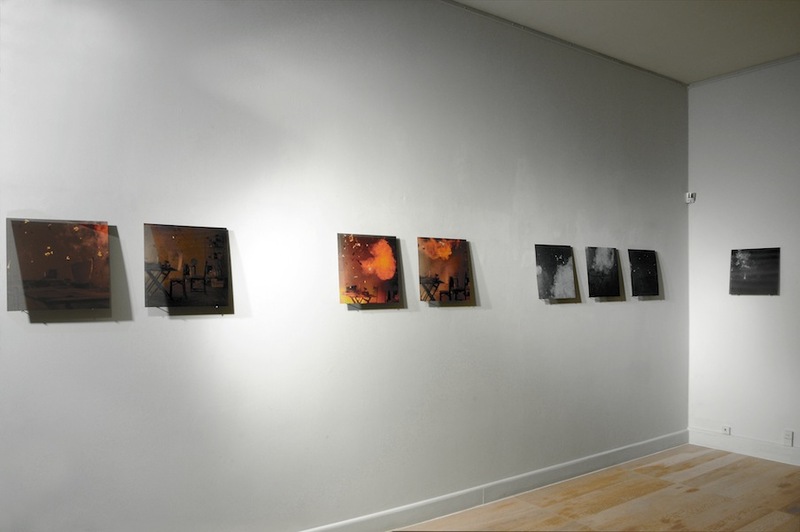 "Aleph, Mai 2014", installation view of three works by Aurélie Pétrel, inkjet on micro perforated steel, 37,5 x 37,5 cm each, Gowen Contemporary, Geneva, 2014. 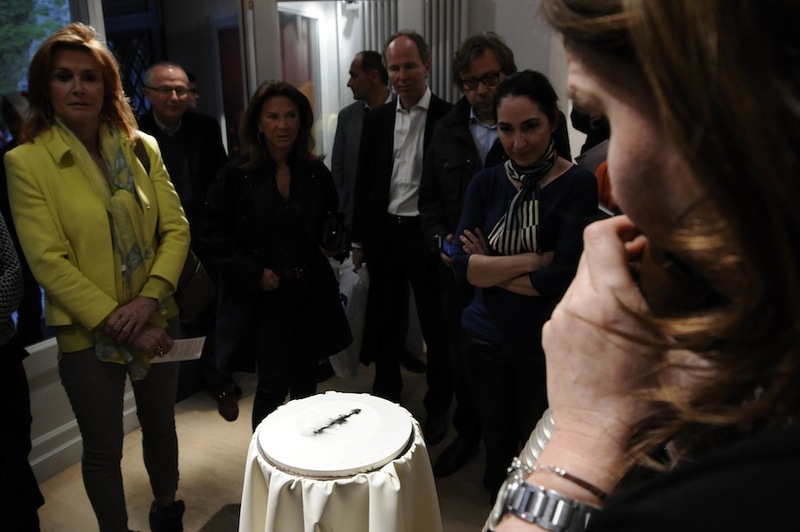 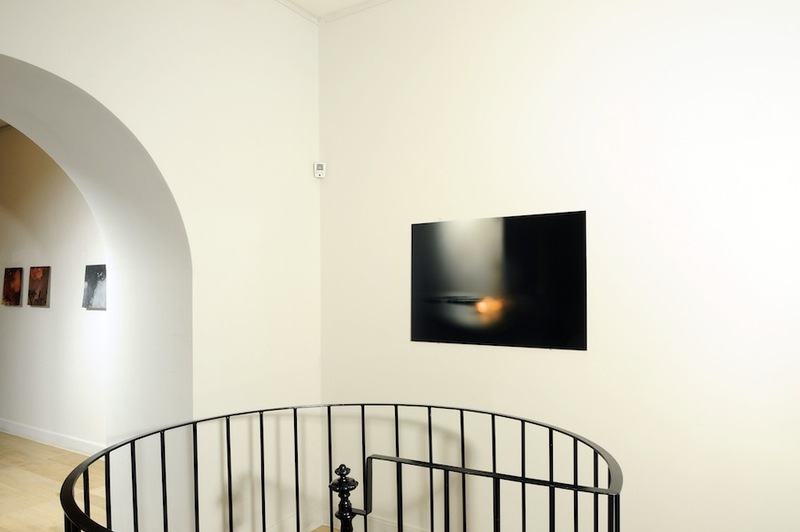 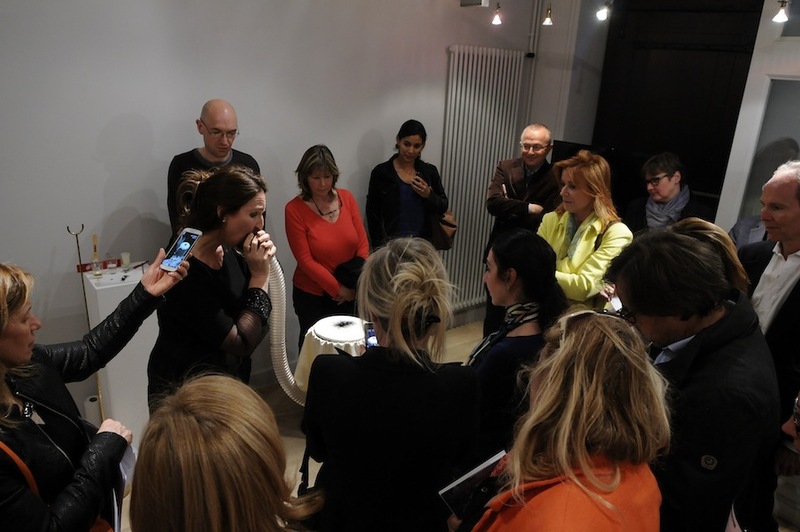 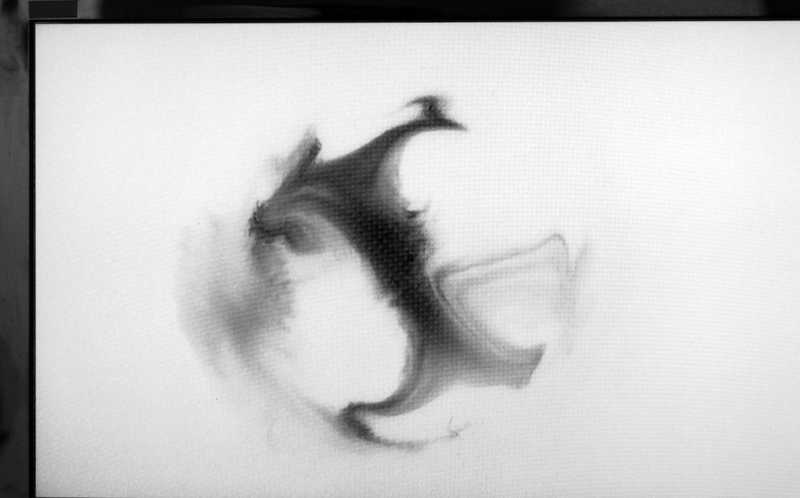 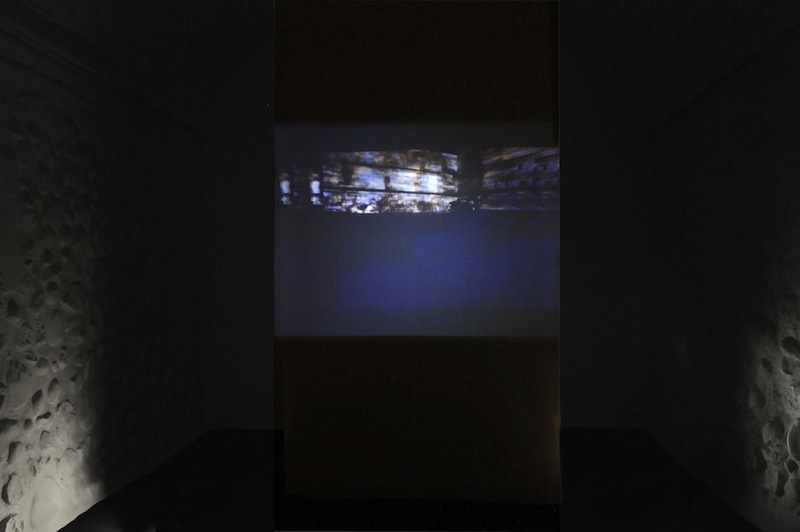 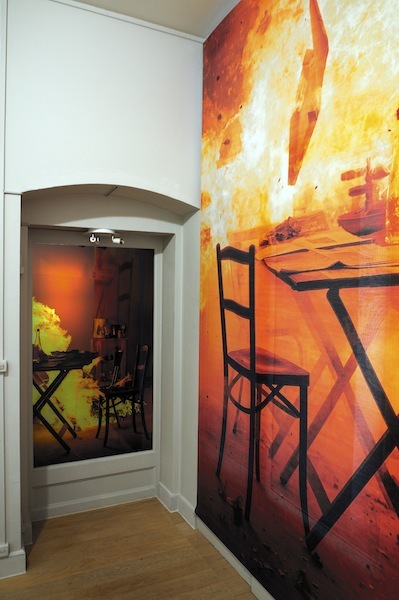 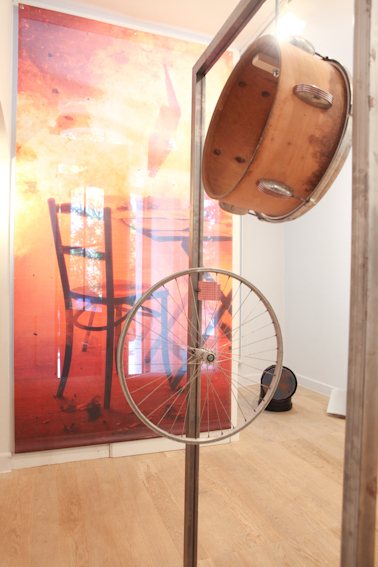 "Aleph, Mai 2014", installation view, video projection by Aurélie Pétrel, Gowen Contemporary, Geneva, 2014.